Pioneers in the pursuit of a synergy between functionality, innovative design and respect for the environment, Valcucine mainly bases its design on “design engineering”: in other words, on an effort to harmonise aesthetic lines with the most cutting-edge technologies to launch new, important challenges for the future. 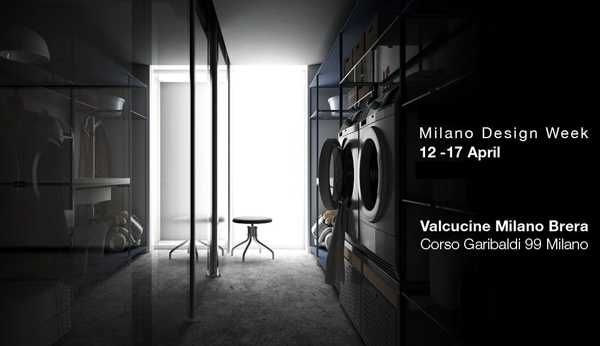 It is with this spirit that Valcucine attends SUPERBRANDS LONDON during the London Design Festival, from the 22-25 September 2011: a partnership to promote an alliance between who supports the quality design and who produces quality design. Valcucine has always focused on satisfying customers’ requirements and has painstakingly researched into the use of traditional kitchens to this aim. The result has been the perfection of a few aspects that improve the interaction of man with the whole kitchen “system”. After having revolutionised ergonomics by presenting the Logica System in 1996 with its 80 cm depth and equipped back section, removable jumbo drawers and wall units with Ala and Aerius lift-up doors, Valcucine is now presenting the new equipped back section. The back section is capable of containing and concealing, when necessary, all the kitchen equipment: the dish-drainer, weighing scales, small appliances, removable cooking receptacles, bottle-racks, power sockets, a monitor, a kitchen roll holder, the tap, hooks for utensils and even a cooker hood. Forza Projects Ltd 143–149 Great Portland St. If you feel like going back to thousands of years and fancy natural minimal design, why not taking a visit to the “Stone House”, a real house made of two giant stones at the North of Portugal. In the middle of nowhere, the Stone House emerges as an astonishing piece of building, perfectly amalgamated with nature, directly from a Tim Burton’s movie. Probably inspired by the Flintstones cartoons, this stunning house was constructed between two giant stones on the hillside of Fafe mountains in the portuguese countryside, and its unusual design daily attracts many tourists from all over the world. Is it the prototype for a new old-age generation? It could be the perfect place to live in, actually. In fact, like most contemporary houses, it has a roof, a front door and also windows – with a particular feel of “deep contact to our origins’ lifestyle”. If you are interested in building with sustainable material, well, what better way to do that than actually use nature (rocks in this case) in your architecture projects? 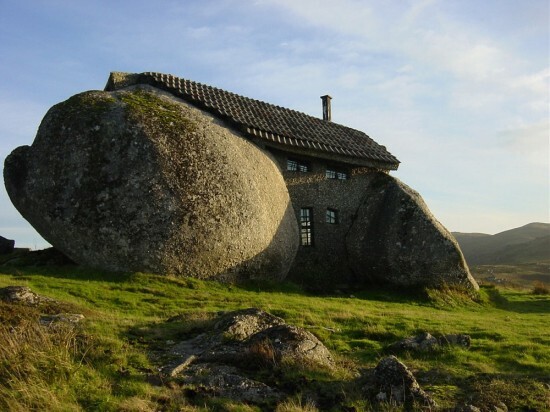 This is the case of the Stone House, located in Nas montanhas de Fafe, Portugal. Maybe it’s a little bizarre as a living concept, but we appreciate the idea of looking for a balance between man and environment, especially if we want to escape from the stress of modern living. And what about the interiors? The kitchen? Can you imagine an Artematica Legno inside the Stone House?